Hey! 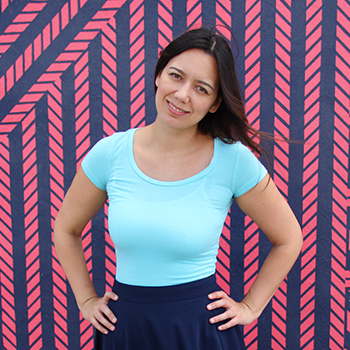 I’m Paola Mendez – the founder of The Blogger Union. 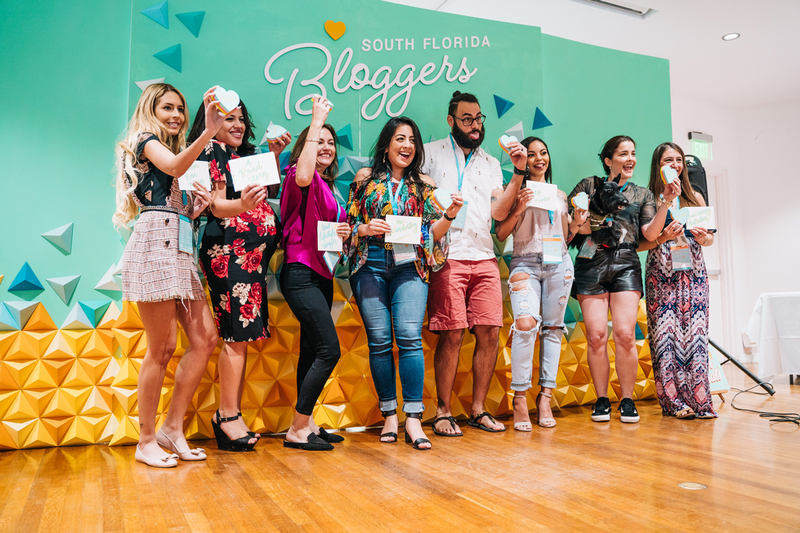 Let me show you what happened at the 2018 South Florida Blogger Awards and officially announce the 2018 winners per category. Check out the video recap below of all the shenanigans. The South Florida Bloggers kicked off the year with gratitude, inspiration, and one big party! We celebrated our third annual South Florida Blogger Awards at Fairchild Tropical Botanic Garden on January 13, 2019 and we had a blast. Fairchild is such a magical place, it was the perfect location to award the work of the top bloggers in the area and to inspire the rest of us. The day started with the award ceremony at the Montgomery Garden House with the stage decorated by Dapper Animals’ handmade origami backdrop (a big shout out to all the volunteers who helped craft the backdrop: Mamita Sin Culpa, Your Helpful Foodie, Curly QT Couture, Nicky Valdes, Happy Run Happy Mom, & Vintage Unicorn). As the attendees arrived at the 2018 South Florida Bloggers Awards they were greeted by chapter officers, registered, and received a gift bag with awesome goodies by Baptist Health South Florida, Shea Moisture, La Croix, Downtown Doral, Kepen Tea, and more! The first 50 attendees received a special designer apron by artist Super Ama. Thank you to all of our sponsors, chapter officers, and volunteers who made the awards possible. Without all of their support we couldn’t have pulled off such a wonderful event! But most importantly, I wanted to thank all of the members in the community. Without each of you showing up and being excited about what we do, we wouldn’t have the South Florida Bloggers or The Blogger Union. It’s always been about YOU! Thank you for making up such an amazing and supportive community of creatives. Then, our MC for the day took the stage – Nicky Valdes. Nicky hosted the award granting ceremony with her energetic and hilarious personality. The twelve winners were announced and received their trophy. The award ceremony was followed by the monetization panel with Fat Girl Hedonist, Damask Love, and Coral Gables Love. We talked about how to land a partnership with sponsors you meet at an event. The panel was followed by lunch at the Sperry Tents lawn under a gorgeous sail cloth tent with flower decorations by Flowers by Ro. The attendees enjoyed arepas, protein balls and other yummy treats by Nu Arepas by Ni Una Dietas Mas and Nanndi Homemade. The official drink of the South Florida Blogger Awards was our favorite sparkling water, La Croix. We networked, we ate, and then we networked some more. Sponsors had booths and photo opportunities for the attendees. Attendees got to chat with several brand representatives at the awards looking for influencers for 2019 collaborations. This flower backdrop by Paper Blooms Forever was one of the favorites of the day. The final event of the day was the Authenticity in Storytelling Panel with The Fashion Poet, Essentially Erika, and Blame It On Mei. They discussed the importance of keeping it real with your audience. Congratulations to the winners of the 2018 South florida Blogger Awards! If you’ve never been to Fairchild, we definitely recommend you visit. You are missing out on an amazing experience of admiring and connecting with nature.